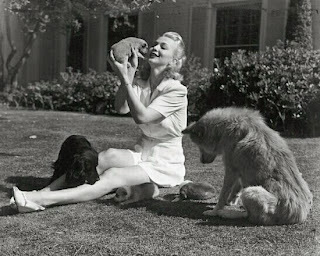 Carole was a true animal lover! She shared her life with dozens of dogs and cats. When Carole was a child she had a Cocker Spaniel who followed her everywhere. 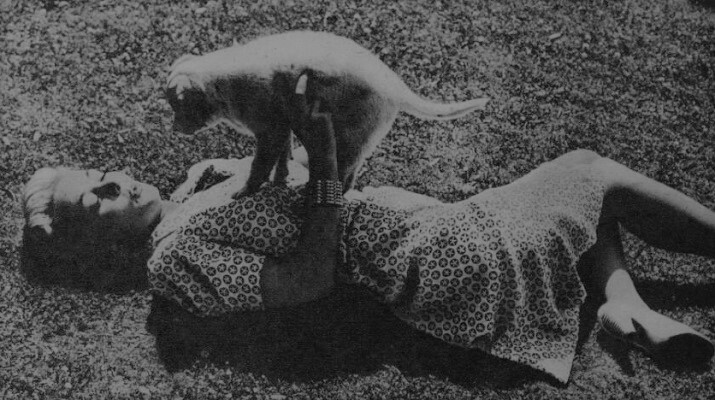 In 1941 her boyfriend Gene Markey gave her a Great Dane he had originally bought for his ex-wife Hedy Lamarr. Carole quickly fell in love with the one hundred pound dog named Donner. She called Donner her "baby" and always treated him like a person. 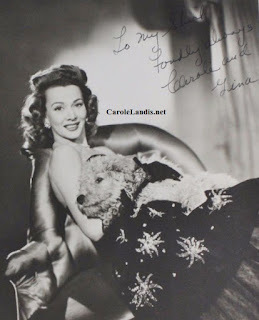 Carole's other pets included two poodles named Missy and Gina, three Malamute Huskies named Lucky, Jinx, and Skeezix, and a St. Bernard named Captain Tiny Mite. The soldiers at Fort Ord gave her two puppies she named Army and Navy. 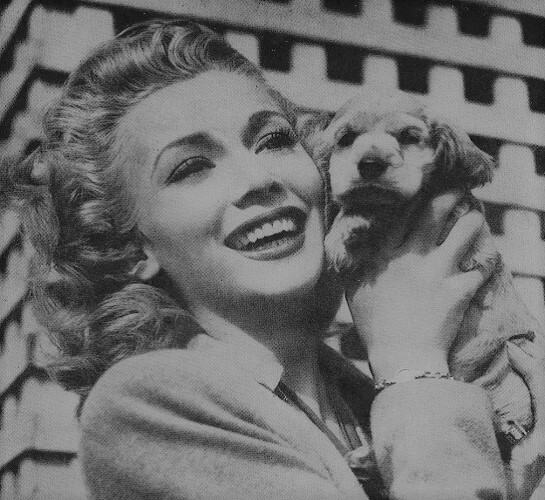 Two of her Cocker Spaniels, Sensible and Foolish, appeared in the 1941 film Wild Geese Calling with Henry Fonda. Carole was almost evicted from her Sunset Boulevard home because she had too many pets. She spent thousands of dollars on lawyers so she would not have to give away any of her beloved animals. Carole became superstitious about having her pets photographed after several animals died or were stolen shortly after their picture was taken. When she first got Donner she would not let him be photographed but soon he was joining her on photo shoots. In 1942 Donner appeared on the cover of Our Dogs magazine and the New York Sunday Mirror. Carole was devastated when Donner died from a sudden illness in 1943 and she vowed never to have another dog. A few months later she bought a Cocker Spaniel named Splash and another Great Dane named Dippy. 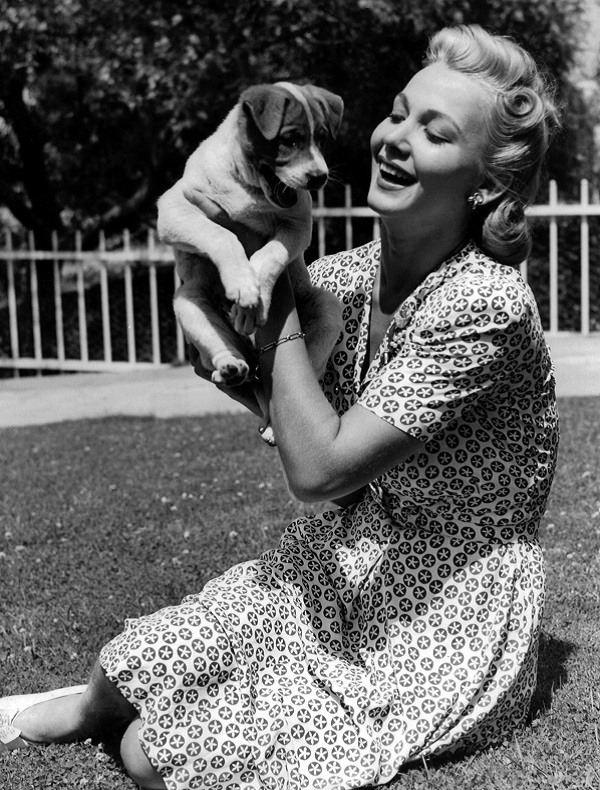 In 1947 she adopted two Siamese kittens named Miss C. and Miss A. When Carole went to England to make a movie she brought her poodle Gina with her. 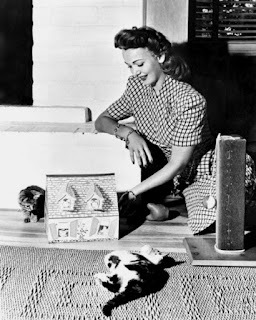 After Carole died her sister Dorothy took all of her pets. Dorothy said "Carole never could stand to see an animal neglected, mistreated, or in discomfort. 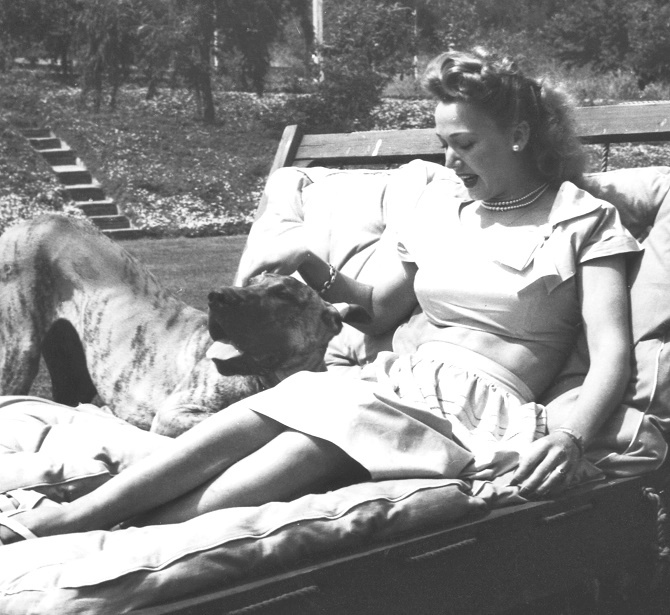 Even her devoted dogs - Dippy, the Great Dane, and Gina, the French poodle. They loved her and they miss her. Dippy still moons around forlornly, searching for Carole."